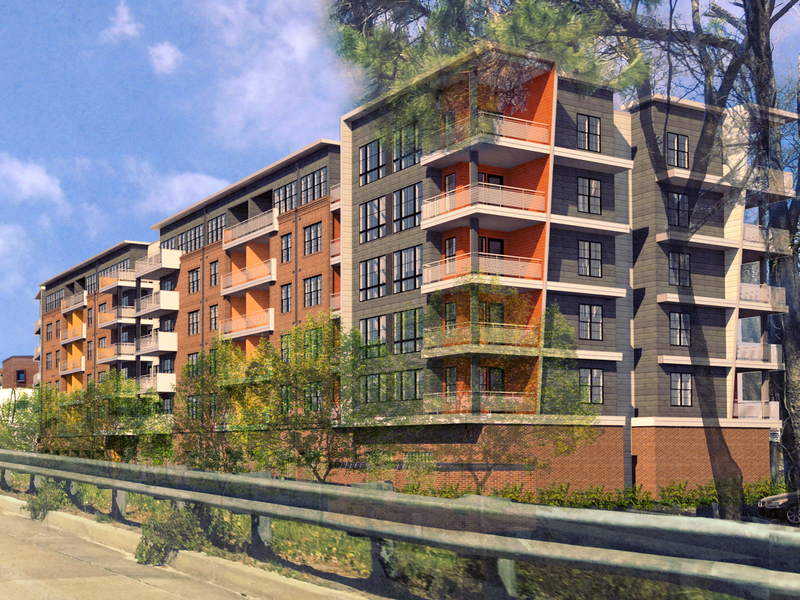 The project is a 190 unit multifamily apartment project on a 2.5 acre site on Huger Street. 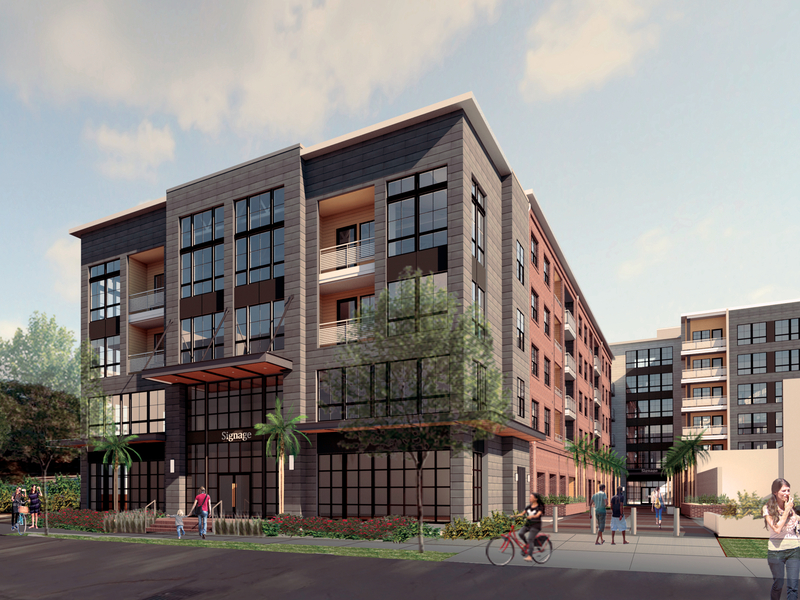 The site is adjacent to the existing Palmetto Brewery Building on the right side. Huger Street has become a major cross town connector and is currently being renovated to improve the streetscape. The site is near the intersection of Huger with the Low Line which will be a green linear park for pedestrians and bicycles and will connect to lower areas of King Street. 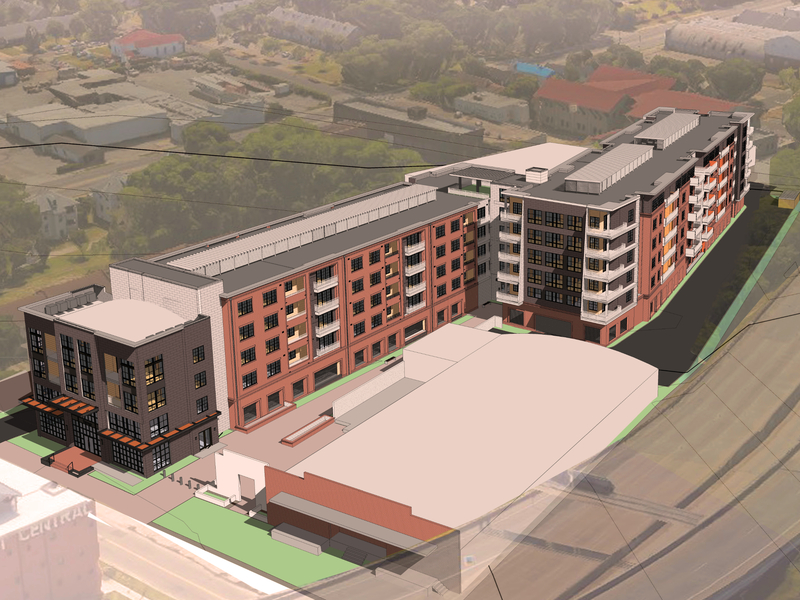 The project consists of two major buildings over podium parking with a central connector where the project amenities and roof deck/pool are located. The design concept for the two connected buildings was of a building at rest and a building in motion. The building at rest faces Huger Street and the residential buildings to east and the building in motion faces the highway to the west. 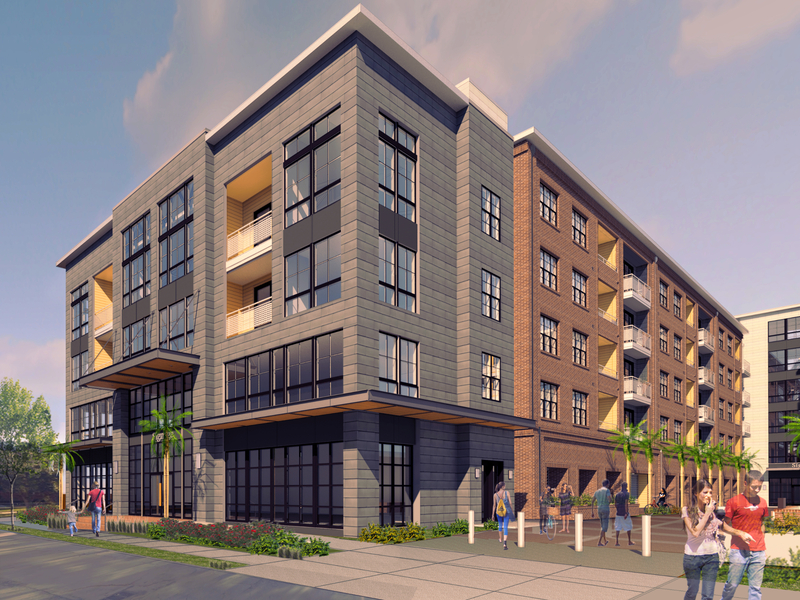 The project fronts on Huger Street with a pedestrian entry off of Huger into a building lobby/ sales office. The architecture of the building facing huger reflects the warehouse aesthetic of this area and surrounding buildings.